Grand Chess Tour 2018 is a five-leg tour composed of the rapid and blitz games in Leuven and Paris, and rapid, blitz and classical games tournaments in St. Louis later this year. The final leg in London will played among the top 4 finishers in the first four legs. There goes the conclusion of the Paris Grand Chess Tour 2018, the second leg of the Grand Chess Tour 2018. 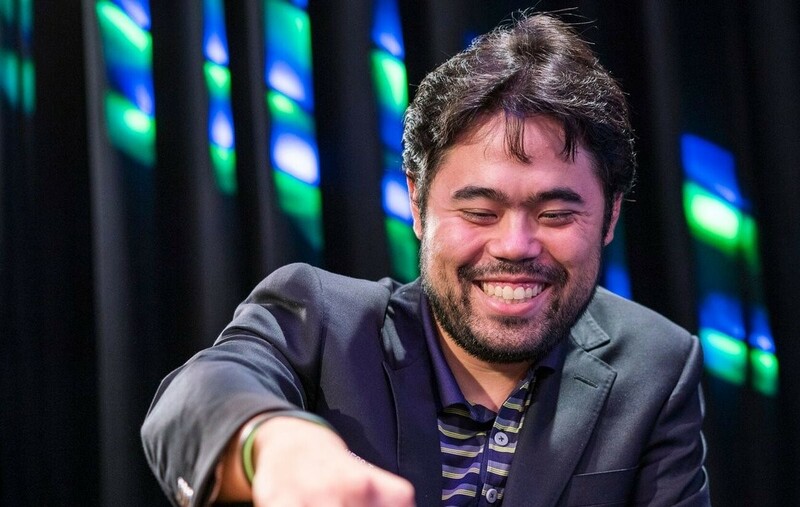 Right before the final round, Hikaru Nakamura only needed a draw to ultimately bag home the title. 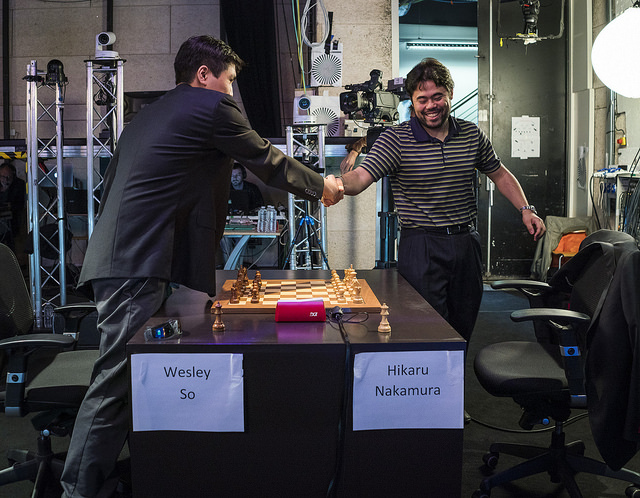 But it was not enough for him, as he even played and won his last round game against Fabiano Caruana. Replay all the Paris rapid and blitz games. 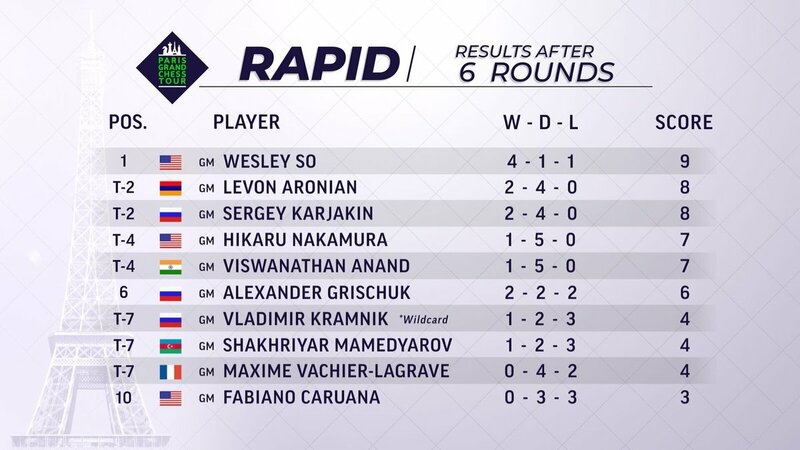 As the second leg of Grand Chess Tour continues in Paris, Wesley So takes solo lead at the end of Day 2 — after 6 rapid rounds. 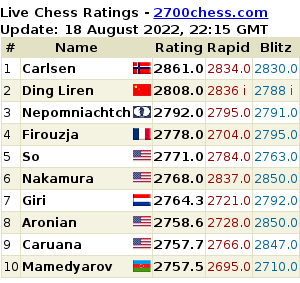 This, after he defeated Vladimir Kramnik and Alexander Grischuk and drew with Levon Aronian during the day. 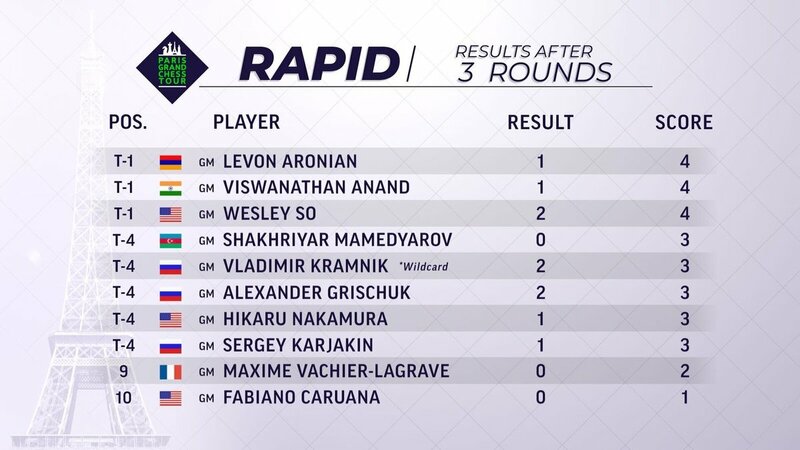 Replay all rapid games in Paris GCT 2018. 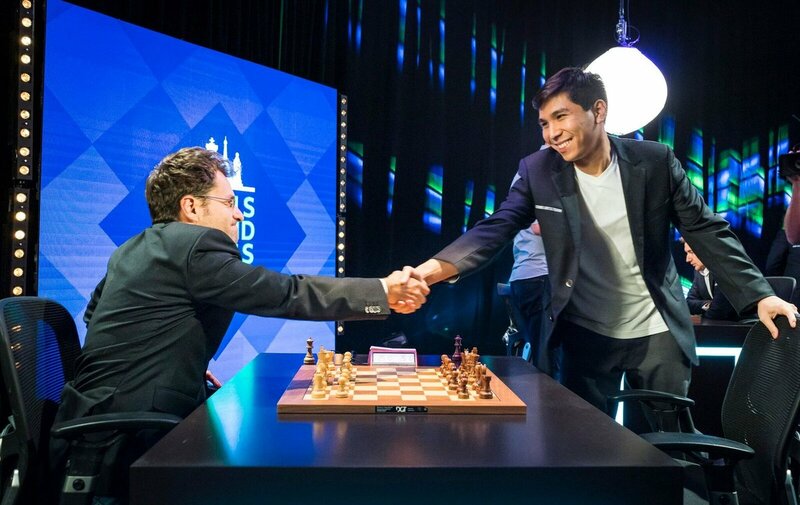 The second leg of the Grand Chess Tour 2018, the Paris GCT 2018, kicked off just 4 days after Leuven. 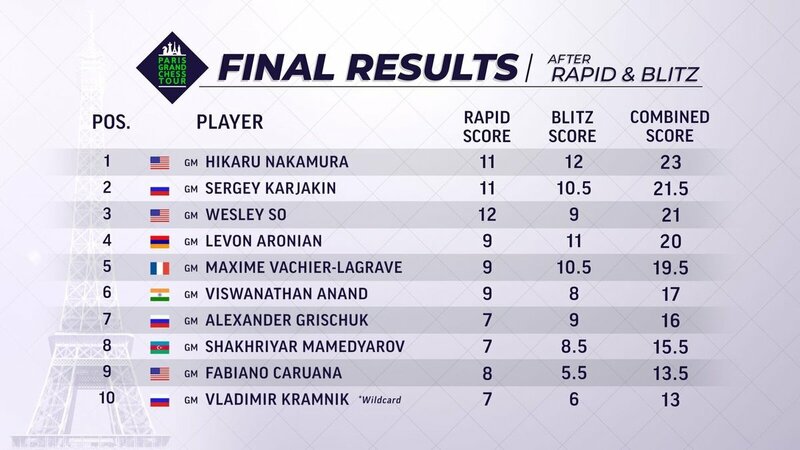 The format is still the same: 5 days, 9 rapid, and 18 blitz games. 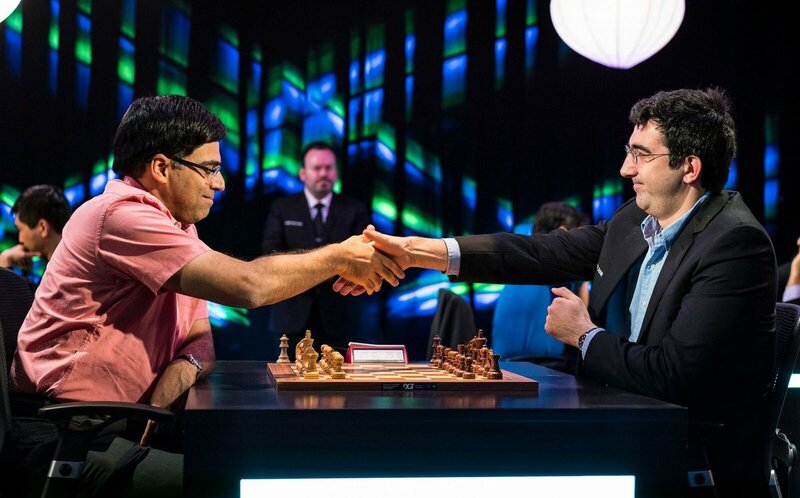 Vladimir Kramnik plays wildcard in Anish Giri‘s stead. Stay tuned for more chess action from Paris.